Tefillat Chana assumes a central role in our Rosh HaShana liturgy. It is not only read as a haftara on the first day, but is also the basis for the centrality of the Rosh HaShana service – the Mussaf brachot of the Amida. According to Rabbi Yitzchak (Brachot 29a), the nine brachot of Shemoneh Esreh on Rosh HaShana are based on the nine references to “Hashem” by Chana in her tefillah. 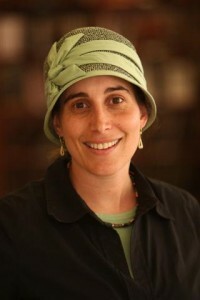 The gemara provides an explanation for this connection: “De’amar Mar – B’Rosh HaShana Nifkada Sarah, Rachelle, ve’Chana”; as one of the three barren women, according to ChaZaL, who were remembered on Rosh HaShana and thereby conceived, Chana assumes a central role in the day’s tefillot. Some Rishonim, however, (e.g. Ritva) reject this explanation offered by the Bavli and quote other opinions, including the explanation of the Yerushalmi: since Chana mentions Hashem as the judge over the world at the conclusion of her prayer, it is most appropriate that her tefillah serve as the basis for the tefillot on the Day of Judgement (Tosafot Rav Yehuda haChassid). Both opinions cited above seem rather difficult; after all, according to the Bavli’s explanation, Chana is one of three barren women remembered on Rosh HaShana – so why not choose references to God’s name in the parshia of “VeHashem Pakad et Sarah”? The latter opinion as well is somewhat disturbing – if the basis for Chana’s tefillah on Rosh Hashana is because of the marginal reference to judgement, should we not search for a more apparent section in Tanach that deals with the subject directly (Avraham, Moshe, Yirmiyahu, Yechezkel, Iyov, to mention a few characters who cite Hashem as judge more frequently and apparently)!? A closer look at Chana’s tefillah in context will perhaps reveal a deeper connection between her prayer and those recited on Rosh HaShana. Chana offers her tefillah after the birth of Shmuel, and yet, her words are not considered those of praise, thanksgiving, shira or hallel, but rather, “tefillah”- containing a bakasha as well (evident in the last pasuk “Hashem yechato merivo..va’yarem keren Meshicho“). Chana is thereby addressing two issues in her prayer: Firstly, her personal salvation through the birth of her son, and secondly, a request for the salvation of Am Yisrael. ChaZaL saw the fulfillment of the tefillot of Chana through Shmuel who spiritually revived the people and anointed two meshichei Hashem (anointed kings) –Shaul and David. They therefore compiled a tefillah based on the structure of tefillat Chana through the nine brachot containing themes of malchiyot, zichronot, and shofarot. Malchiyot describes the majesty of God in the world, Zichronot – Hashgachat Hashem in the world, and Shofarot refers to the blasting of the horn of divine revelation and redemption at the time of matan torah and the final geulah. These brachot clearly express and are founded on the same ideas mentioned by Chana in her tefillah on behalf of Am Yisrael. (Malchiyot- Shmuel Aleph, Perek 2, Pasuk 2, Zichronot=hashgachat Hashem – pasuk 8, and Shofarot– prayer for salvation- pasuk 10). Although Sarah and Rachelle were also answered on Rosh HaShana, Chana’s tefillah serves as a basis for our kavanot, particularly on The Day of Judgement. As we daven for personal requests of teshuva, Chana’s prayer reminds us of the nature of the day of Rosh HaShana as a day of universal majesty of God over the world, particular guidance for Am Yisrael, and our hopes for nationalistic redemption. We learn from Chana that beyond our concern with individual requests, we must not forget to beseech God for the needs of our community, our nation. The tefillot of Rosh HaShana must be infused with a spirit of nationalistic identity and communal concern. Compare the tefillah of Chana in Shmuel Aleph perek bet, with two other “songs” in Tanach that express similar structure and themes: 1) Tehillim, mizmor 113 (look for parallel words and phrases) and 2) Shmuel Bet, perek 22 or its parallel mizmor –Tehillim 18. If the same praises and requests are presented (employing similar verses), why were these perakim not selected for Rosh HaShana. What remains unique to Chana’s tefillah? See Nechemiah 8 for further references to Rosh Hashana as a day of identifying with the nation, beyond our personal tefillot.